Pinterest has left me wanting to do so many fun projects. 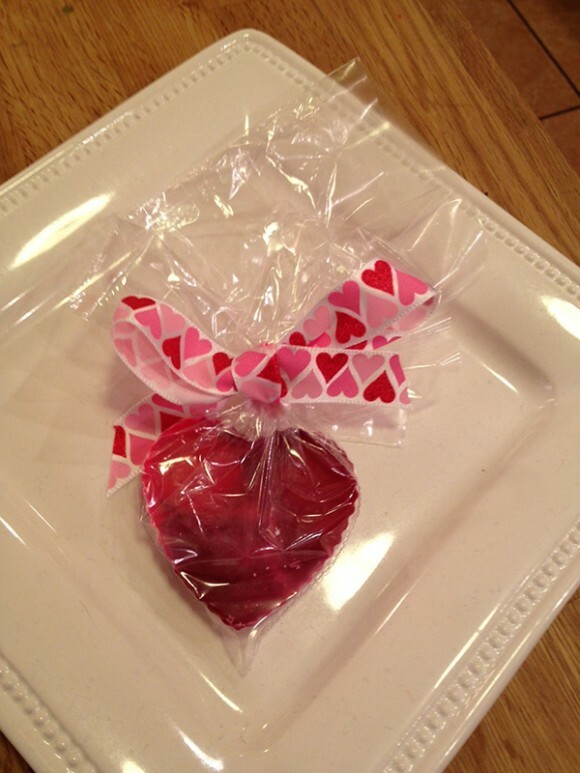 I’ve been trying to think of a cute project to give the kids at pre-school for Valentine’s Day. Candy is not an option and I needed something that was gender neutral. I was really excited to see the perfect project, Crayon Hearts! This was by far the easiest project that we could have done. I love that Em got to do about 90% of the work for this project. I just had to supervise and get them in and out of the oven. 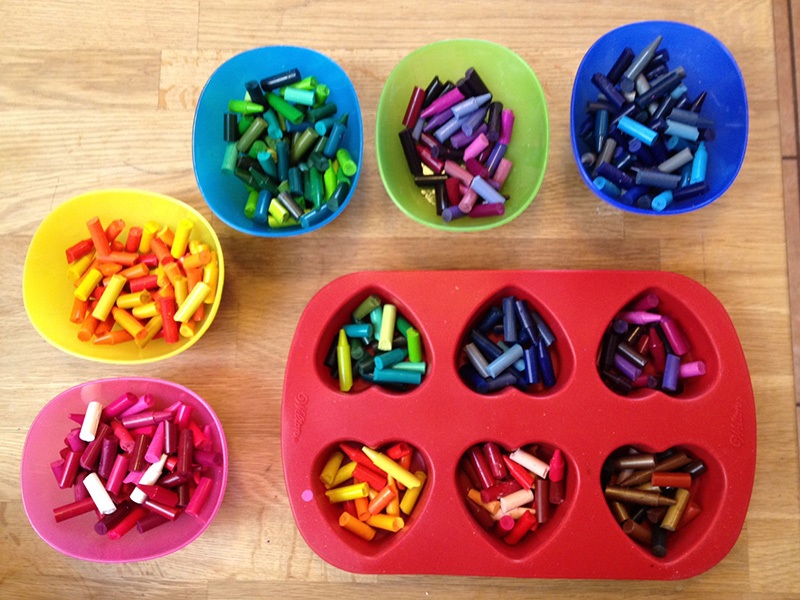 If you want a fun and creative project, try making these crayons. You just need a couple items to have a great gift! Here’s what you need: Crayons and your favorite mold. Preheat your oven to 275 degrees. Break up your crayons into random pieces. 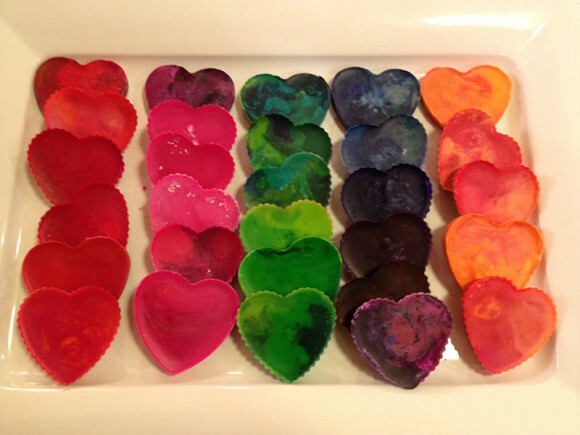 I sorted by color first, then put them into the molds by color groups. Fill each mold about 1/2 way full. You could even add a little glitter to make them shine. Bake in the oven for 15 minutes or until the crayons have fully melted. 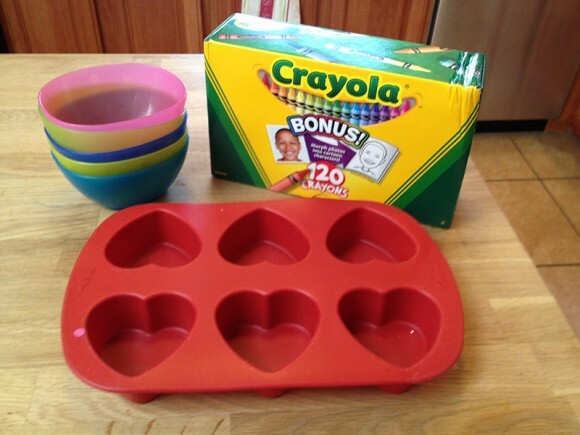 Wait until the crayons have cooled before removing them from the molds. How easy is this? I love this project, you can do it for any occasion too. The best part, there is no mess and very little clean up! What’s on your Valentine’s Day to-do list?